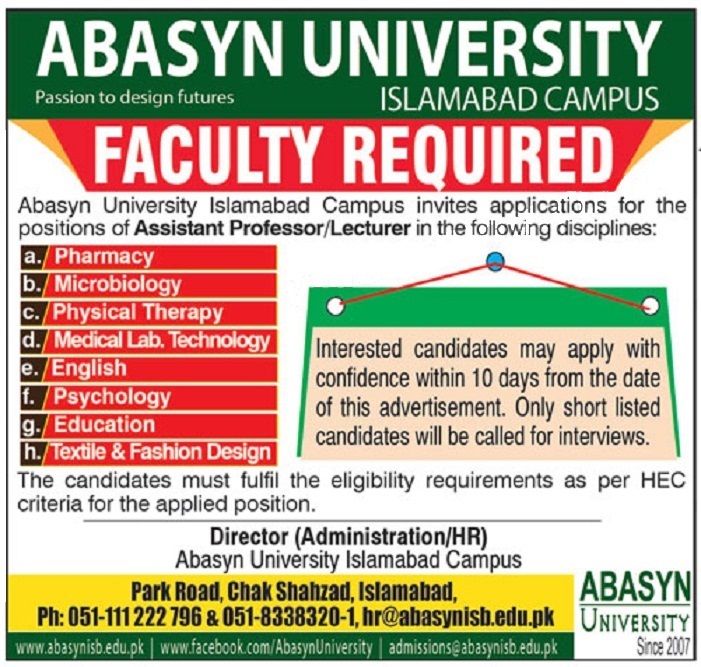 Abasyn University (AU) Islamabad Campus. Interested candidates may apply with full confidence within 10 days from the date of this advertisement. Only short listed rifir candidates will be called for interviews. The candidates must fulfil the eligibility requirements as per HEC criteria for the applied position.